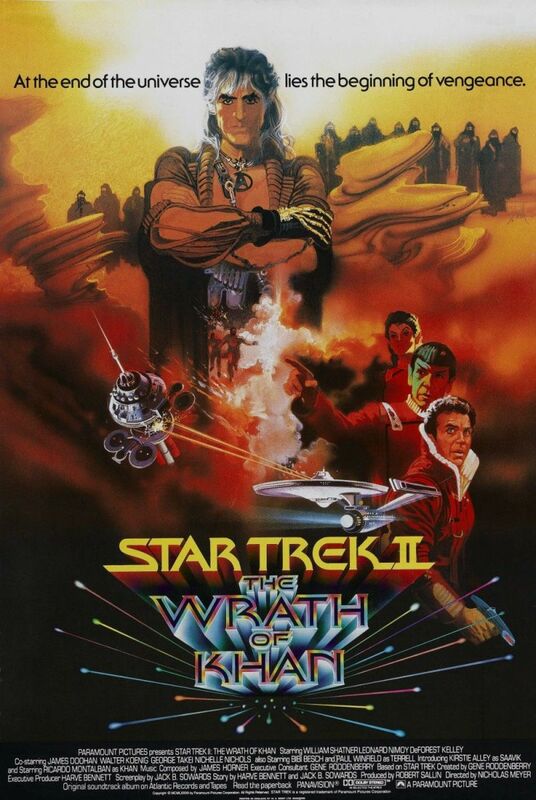 Star Trek II: The Wrath Of Khan is an action sci-fi film released in 1982 and is the second film in the Star Trek series, itself based upon the Sixties TV show of the same name. The film sees the crew of the USS Enterprise thrown into battle against a genetically engineered tyrant once exiled on a barren planet by Kirk. The film was directed by Nicholas Meyer (who also contributed to the screenplay) and stars William Shatner, Leonard Nimoy, Ricardo Montalban, DeForest Kelley and a debuting Kirstie Alley. The film is the start of a three-film story arc that continues through Star Trek III: The Search For Spock and concludes with Star Trek IV: The Voyage Home. The film was a critical and commercial success and is regarded as one of the better films in the series as well as responsible for a revival of interest in the franchise. With Admiral Kirk overseeing training of Federation officers and growing increasingly restless, it falls to the USS Reliant to locate a suitable planet to test a prototype terraforming device known as Genesis which reshapes a planet's ecosystem to make it sustainable for life. Reliant officers Commander Pavel Chekov and Captain Clark Terrell beam down to a planet's surface, believing it to be Ceti Alpha VI but quickly find themselves captured by men loyal to Khan Noonien Singh - a powerful tyrant previously exiled by Captain Kirk on Ceti Alpha V fifteen years ago. Hell-bent on escape and revenge, Khan is quickly able to gain control of the Reliant and heads off to the space station Regula I where the Genesis Device is being developed by Kirk's former lover Dr Carol Marcus and his son David. As the Enterprise receives a distress call from Regula I, Kirk soon realises that not only is the Genesis Device under threat but almost everything he holds dear could be at risk from Khan's unstoppable thirst for vengeance..
Star Trek is often seen as the less successful sci-fi franchise in cinema because most of the money goes to George Lucas' never-ending saga in a galaxy far, far away. 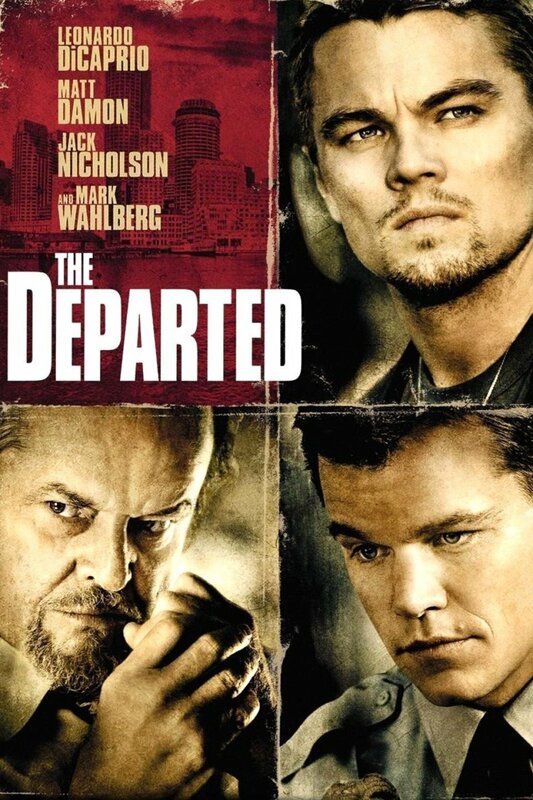 But in truth, Trekkers do have decent films to counter their arguments and this is one of them. Harking back to a more dangerous feel than ever before, The Wrath Of Khan feels like an old-fashioned naval movie with two equal ships circling each other in a race to see who can fire their cannons first. For the first time in Star Trek circles, consequence reared its head and not always favourably. The film's climax is one of the very few times in the whole franchise that things get really emotional as the cast gather to say goodbye to a much-loved character. The story is an absolute blast, bringing Montalban back into the fold with a blistering performance as the charismatic Khan and giving Kirk a proper baddie to face for the first time. It's also clever enough to fill in the gaps if you haven't seen the episode of the show featuring Khan, which I certainly haven't. The rest of the cast, obviously used to their parts a bit more, feel more comfortable on the big screen than they were in the first movie The Motion Picture. Alley also provides some fresh-faced curiousity as Saavik, mirroring the impassiveness of her mentor Spock. The effects are also a welcome improvement over the TV show with two starships exchanging phaser fire around a lurid nebula. Saavik was written as coming from mixed Vulcan/Romulan heritage, thus explaining her emotional bursts occasionally seen in the film like her reaction to the Kobayashi Maru simulation. However, it was never explained on-screen. There are persistant rumours that Montalban wore a fake chest for his scenes as Khan, given that he was in his sixties and appearing in the TV show Fantasy Island at the time. However, it was Montalban's actual chest which he put down to doing "a lot of push-ups". 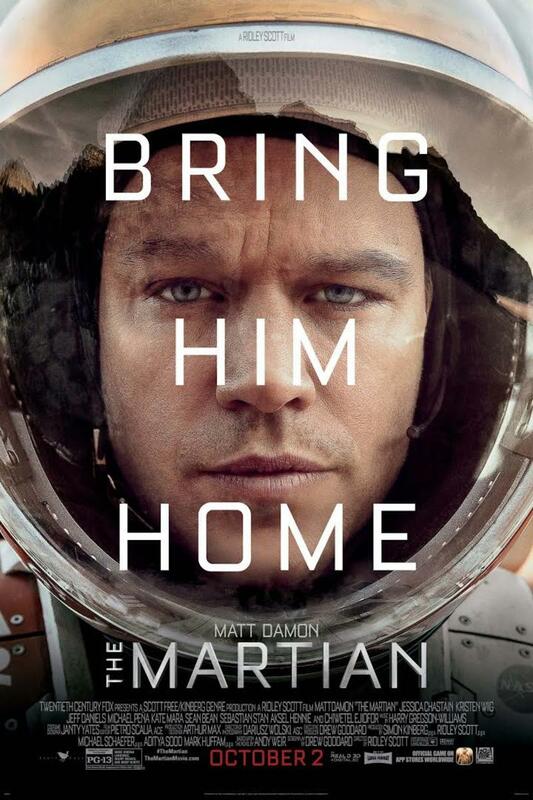 His TV schedule did prevent him from shooting any scenes with Shatner face-to-face. 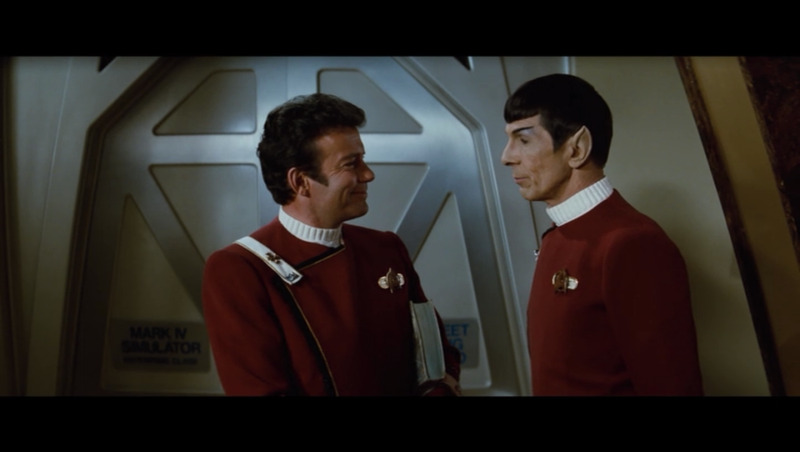 In the original TV episode, Chekov and Khan never met so their familiarity with each other was a problem. Director Meyer said that Arthur Conan Doyle frequently had such continuity issues so he wasn't that bothered. With the tension ever rising between the passionate fury of Khan and the increasingly desperate Kirk, the film decides to inject odd moments of humour into the mix which don't really add anything. And it is safe to say that the supporting cast are also pretty mixed - Paul Winfield as the unfortunate Captain Terrell makes an impression but the likes of Nichelle Nichols as Uhura and George Takei as Sulu haven't much to do and give the impression of sleepwalking through the picture. And while the effects are a definite improvement over the TV show, they don't feel much of an improvement over the first film and this gives the impression of corners being cut or budgets being slashed. But overall, this is the strongest of the Trek movies featuring the original cast but I reckon it's more to do with the others having more weak points. Most other Trek films feel like extended episodes at times and don't seem to make the most of being on the big screen - something Abrams has addressed with his rebooted Star Trek series. Another problem is the stories getting increasingly silly - the series wouldn't have another decent outing until Star Trek VI: The Undiscovered Country. Still, at least Kirk never faced a character as inherently annoying as Jar Jar Binks. 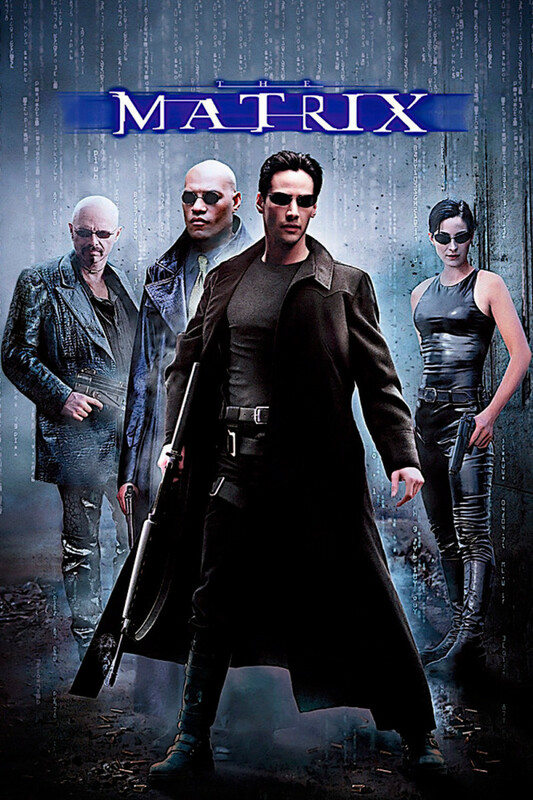 It may be smaller in scale and nothing like as cool as Star Wars but this is still a very strong sci-fi film that fans of the show will fall in love with. It's darker, more thrilling and more exciting than the plodding mystery and anti-climax of the first film and it remains probably the best Trek film with the original cast. All together now... KHHAAAANNNNN!!! 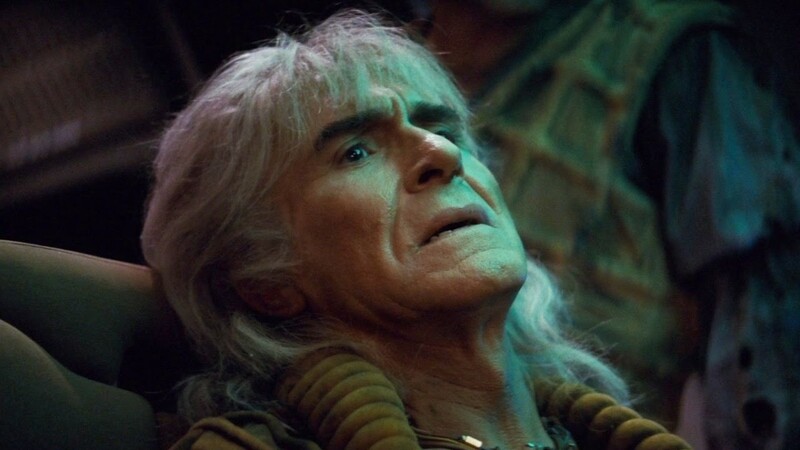 I say that The Wrath Of Khan is probably the best Trek movie because there is another with the original crew that I enjoy as much, maybe more. Star Trek VI: The Undiscovered Country managed to get all the right ingredients in the right place at the right time for the first time ever - fantastic effects (the zero-gravity murder sequence is just brilliant), another memorable baddie for the ages in Christopher Plummer's Klingon General Chang and a wonderfully written story that serves as a great allegory for the end of the Cold War. It was a fitting ending for the longest-serving crew of the Enterprise. Once the crew from The Next Generation took over, things kinda flattened out. The films never really reached the same peaks although First Contact was warmly received after bringing the Borg onto the big screen for one hell of a clash. It would eventually fall to serial rebooter JJ Abrams to revive the fortunes of the franchise with the rebooted prequel Star Trek which introduced a new crew and new continuity and brought a new generation of fans to the franchise, which continues to rumble on with massive CG effects and a young, good-looking cast led by Chris Pine as Kirk. 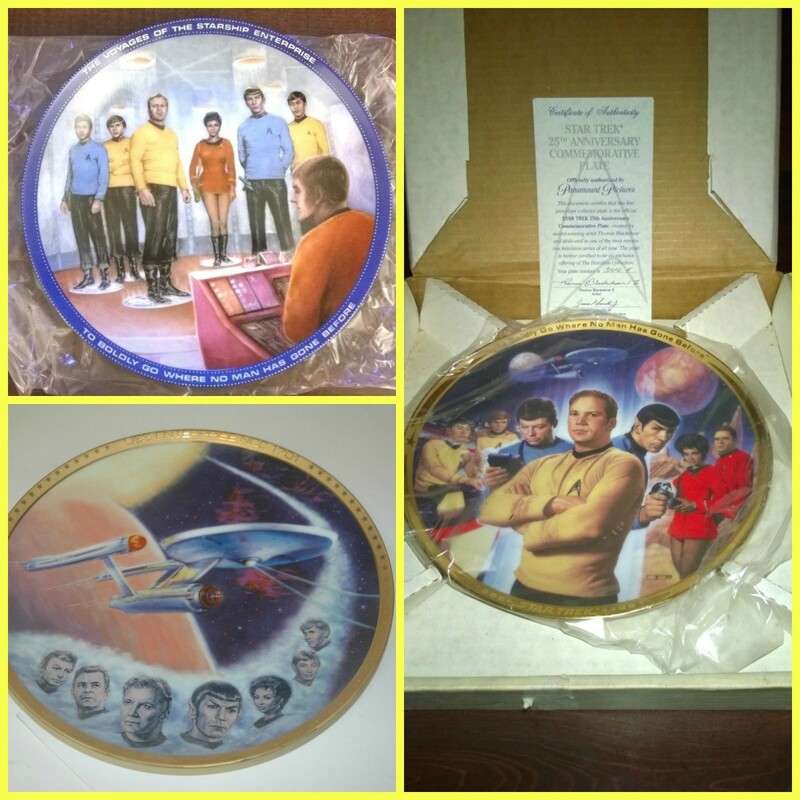 Musing about Star Trek, and a look at Star Trek Collectors Prints, Artwork, Models, and Figurines.